When targeting a fish species, you need to think about what characteristics they have. 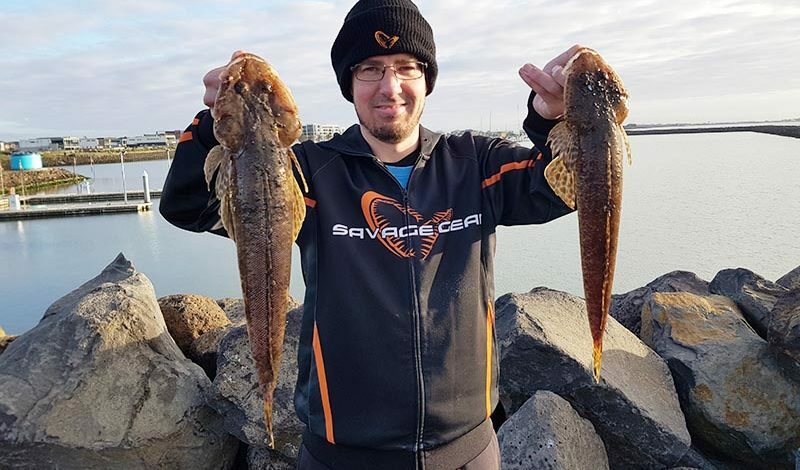 For most part a flathead is an ambush predator, they have eyes on the top head, there quite camouflage and they’ll often sit on the bottom waiting for a bait fish or a mullet to swim by for an easy feed. Thinking of those characteristics a few things come to mind, firstly keep your lures and baits close to the bottom, and secondly stay active if you’re on a boat and kayak then its best to not anchor up instead drift around and for land-base anglers its best to walk around and cover as much distance as you can. Both those points will greatly improve your catch rate. There’s a massive range of soft plastics and lures perfect for targeting flathead. So many, that it can be almost overwhelming to choose, the reality is flathead aren’t fussy and they’ll have a go at just about anything cast in the right area. Curl tails, paddle tails, minnow imitations, worm imitations, yabbie imitations are a great starting point. Some of my favorite soft plastics include the Savage Gear Pro Grub, Zman 2.5 inch grubZ, Berkley turtleback worm, Squidgy Wrigglers, Zman Slim SwimZ, Savage Gear T-Tails, Lunker City Paddle Tails, Zman Curl Tails, Zman ShadZ, Berkley Gulp Jerk shads, Monroes Ziptail worm, Savage Gear Curl Sandeels. When it comes to jig heads ill generally have a few different weights depending on current strength and wind. This will include a 1/6 a 1/8 and a 1/12 jig head and I change things depending on the conditions. Take your time when rigging and make sure the plastic is on straight, this improves the plastic action. If your fishing in deep water on a boat then you’ll likely need to go even heavier such as a 1/4 ounce of 1/2 an ounce. Flathead will also happily take a vibe, blade, and hard body lure, again the options here are endless so don’t be afraid to experiment. When soft plastics fishing for flatties I use 2 simple techniques. Cast your plastic or lure and wait a few seconds for it to hit the bottom, then do several quick erratic lifts wind in the slack and let the plastic sink to the bottom and count to 5. Repeat this process until your plastic or lure is back where you are fishing. The idea behind this technique is that your imitating a wounded bait fish, and when it sinks back to the bottom is when you get most of your catches. Cast your plastic or lure and wait a few seconds for it to hit the bottom, then simply do a slow continuous retrieve of your reel knows as the slow roll. This is great with curl tails, and paddle tail plastics as the natural action of the lure a foot or two above the bottom is dynamite for flathead. The good thing about both these techniques is that there easy to learn and master, and very effective. Plenty of good bait choices, pilchard, blue bait, white bait, prawns, pippis, chicken, mackerel and the list goes on however I like to use squid. I do so for 2 main reasons. It doesn’t fall of the hook and you get less bites from pest species such as banjos and toad fish. The other benefit is when I go squid fishing I cook the hoods into calamari rings, but I keep the tentacles for bait. Let’s talk about suitable gear for targeting flathead. I generally take 2 rods 1 for lures and 1 for bait. Let’s focus on the soft plastic setup first. I think a 2-4 kilo rod, a 2500 series reel and line strength between 4 to 10-pound is ideal for targeting flatties. My rod setup is a Black Savage spin rod its 6/10 in length with a 2 -4 kilo weight capacity. Coupled with a stealth 2000 reel spooled with 7-pound silencer braid it’s a perfect setup for me and this style of fishing. When fishing with soft plastics it’s important to use braid because it doesn’t stretch therefore your always in contact with the lure and you’ll feel the bumps and bites. To improve your catch rate it’ recommended to use a leader. Fluro carbon is fused fishing line which means its thinner in diameter and harder to see in water. I always use about a rod length of Fluro carbon leader. When bream fishing I go very light 2-4 pound but when fishing for flathead ill jump up to 8-pound. Flathead have quite sharp bristles and they’ll often chew up your leader so always go a little bit heavier. Now let’s discuss the rod SETUP for bait fishing. A 2-4 or 3-5 kilo rod is perfect for this style of fishing. I generally use my Savage gear MPP2 3-5kilo 7 foot in length. I couple that will a 3000 size reel with 6 or 8 pound braid or mono. On my rod I have a Savage Gear stealth 3000 with 6.8 pound braid. Flathead can be targeted all day long, however they are generally most active on the peak of each tide, especially low tide. All fish species are generally always active on sunrise and sundown. I love fishing and I’m happy catching any type of fish regardless of the size or species. I love targeting flathead, there easily accessible, there great to catch on soft plastics using light spinning gear and there still one of the best eating fish. Remember to always check fishing regulations and catch limits in your area. Where possible practice catch and release you don’t need to hit your bag limits just keep a couple for a feed.